The ONLY show on regular radio that I listen to. The only comparison I can make is imagine if Cipha & Rosenberg’s show was about sports…I know im setting up high expectations for this show, but to me its like a sports version of Cipha & Rosenberg. Take a listen. 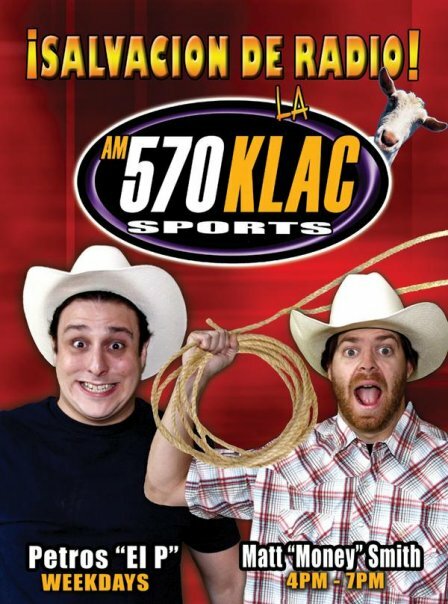 I usually enjoy P and M. But today certainly, they mailed in it, rerunning the Kobe interview from yesterday, and today Petros drinking on the air. Stay professional fellas, or be honost and just admit that you both are ignorant hacks. Wake up or get off the air and let some real pros get the air.